When a young porcelain expert flies to China to evaluate a collection of artwork up for international sale, she lands in circumstances vastly different from what she expected. Lia Frank finds greed, deception, and political turbulence instead of clarity when she tries to learn the origin of a huge collection of priceless porcelains. From the slightly shady Hollywood Road antique district in Hong Kong, to the professional underworld smugglers who move art illegally out of the mainland; from the rich Western art lovers who don’t ask questions, to the Chinese museum officials who want to bring back every piece taken out by Western marauders, each player in the game carries his own secret. It’s Lia’s job to find the truth. As she sorts out the puzzle and uncovers the true history of the collection, she also yearns to have a relationship with more than an inanimate work of art. As the story unfolds, she gets her chance. The Chenghua Chicken Cup resells in Beijing for 36 million USD. Buyer gets 422 million American Express reward points. 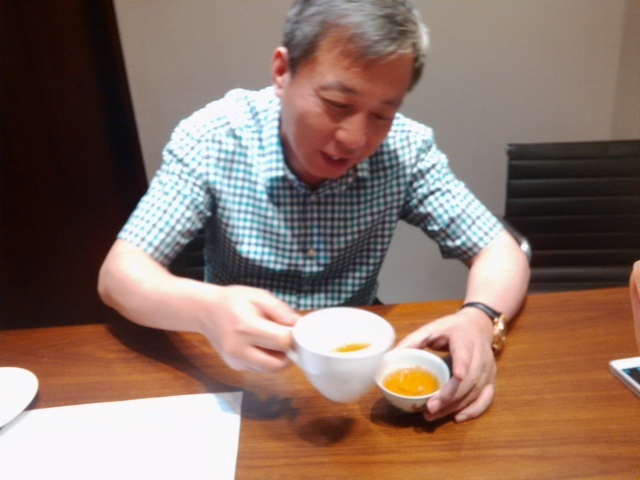 Then drinks tea from the cup! 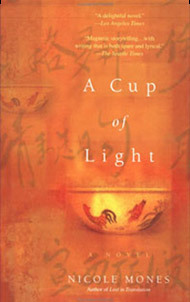 Magnetic storytelling … A Cup of Light has the rare distinction of bringing together an entertaining sequence of just-suspenseful-enough events with writing that is both spare and lyrical.